Except it uses the name "Murder Miners" as an alias. 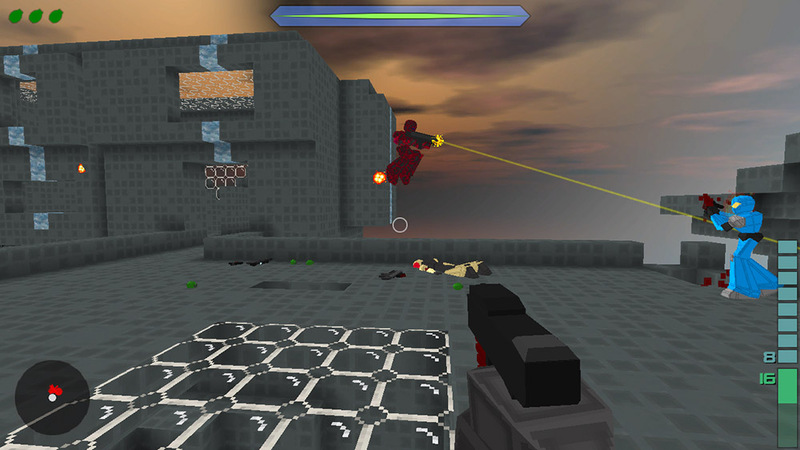 This little indie game is secretly Halo 1 in a Minecraft costume. Seriously. It plays just like Halo 1 -- it makes me happy just typing that. Plus it has a pretty powerful map editor, which gives it INFINITE LEGS. It was the easiest $3 I've ever spent. Syracuse, buddy. This is it. This is the one. The last game you will ever need to play. It's here, my friend. Join me. Let us make love on this battlefield. So this is on the Indie Channel? Right now? How did they get it to play like Halerz 1? Eep. Hang Em. I'll check it out. Any way to turn off the building part of it in multiplayer games? I don't want people hiding inside of pillars on Lockout. So this is on the Indie Channel? Right now? How did they get it to play like Halerz 1? Yes. It's mainly the weapons. Pistol, Shotgun, Sniper, and AR only so far, but they feel so familiar. Movement and netcode are also great. 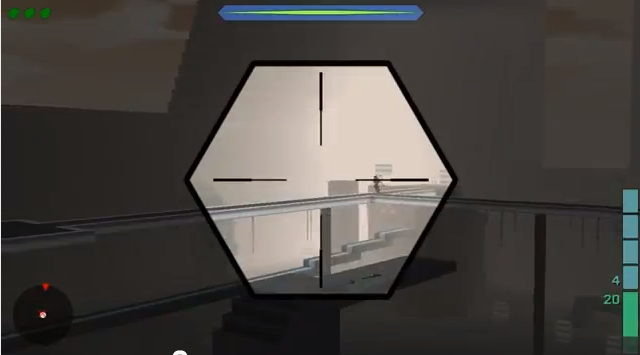 Right now aiming takes some adjusting to, but they're adding aim acceleration sliders in an upcoming patch. Yes. Most of the custom maps and map remakes have all blocks locked down. A few people from GAF and I played some games with one of the developers last night and talked to him about the potential of this game with the Halo community. One of the things I mentioned was how weapons spawns and level design go hand in hand (right now you choose your weapons when you spawn, a la Halo 4). He seemed convinced and is going to talk to his team about it, as well as some other things that we were pushing for. The goal is to get the game to go full blown Combat Evolved, but we'll see. At the very least, it's $3 to three-shot kill dudes with a pistol. I played the trial and bought it instantly. For $3 and with more promised features/weapons it's hard to go wrong there. I won't be able to play this weekend, but maybe in the future if we want to take a break from Bonerlands 2. I took the plunge and got a few games in with Blaze. This game is pretty awesome. Not a fan of the graphics. Played some on modified lockout. Not a fan of melee on right bumper, and it took me a while to figure out that a Sprint function was on the LB. That kind of breaks the H1 feel, with a dude zipping around the map. Other than that, yeah, the gunplay felt very CE-ish. It's been years since I played H1. The pistol seems to have a long fire rate. Almost sniper-rate. Played some on modified lockout. Not a fan of melee on right bumper, and it took me a while to figure out that a Sprint function was on the LB. That kind of breaks the H1 feel, with a dude zipping around the map. Other than that, yeah, the gunplay felt very CE-ish. It's been years since I played H1. The pistol seems to have a long fire rate. Almost sniper-rate. I think you can customize the controls to whatever you want, and they're changing the pistol to be more like the Halo version (12 bullets and a faster fire rate). Supposedly an option for weapons on the map is also in the works. They need a "disable sprint" option.